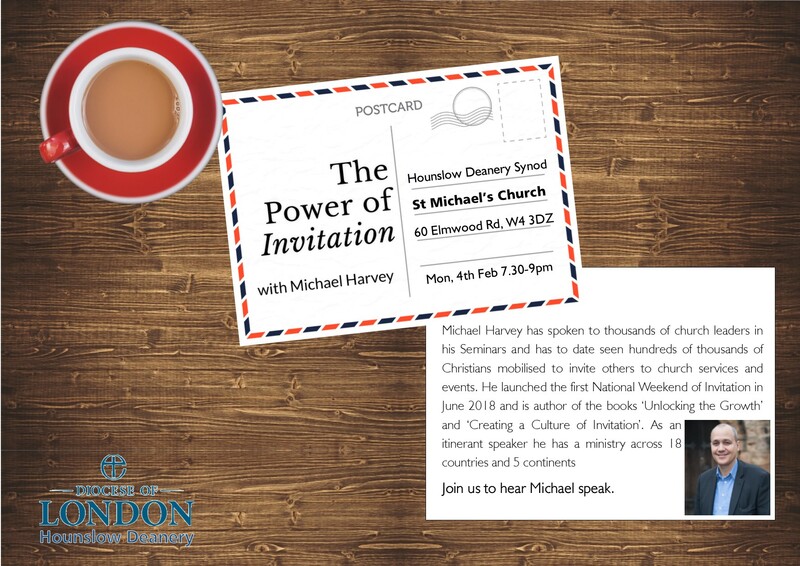 Join us at the first Deanery Synod of 2019 where Hounslow Deanery Synod is delighted to host international speaker Michael Harvey. Michael has spoken to thousands of church leaders in his Seminars and has to date seen hundreds of thousands of Christians mobilised to invite others to church services and events. He launched the first National Weekend of Invitation in June 2018 and is author of the books ‘Unlocking the Growth’ and ‘Creating a Culture of Invitation’. As an itinerant speaker he has a ministry across 18 countries and 5 continents and in February he will join us to unwrap the topic of evangelism in a whole new way. Following Michael’s talk we will have time time for questions, and the sharing of resources and good practice. As always, we will finish by 9pm. 7.30pm Tuesday February 6th 2018 – All Souls Church, TW1 1PB Hounslow, Hampton & Spelthorne Deanery Synods are delighted to host a joint open meeting to hear from A Rocha. The Christian charity works for the protection and restoration of the natural world as a response to the biblical mandate to care for the earth, and to demonstration the Christian hope for God’s world. A Rocha’s new CEO Andy Atkins will be speaking about their work: practical involvement in conservation through projects and research; campaigning on biodiversity & also engaging with churches, schools, communities and individuals. Helen Stephens (until recently Hounslow Deanery Secretary) will also be speaking. She is A Rocha’s new Church Relations Manager and works with local churches particularly as they work towards the Eco Church awards. The evening will feature time for questions, discussion and the sharing of resources and good practice. We will finish by 9pm. This Synod meeting is open to all interested church members, not simply Synod Representatives. Please note that parking is limited around the church. Do aim to come by public transport (St Margarets Station & the H37 bus) or leave extra time to park. Find out more about A Rocha at arocha.org.uk and download a pdf to pass on to others. Look at Sian’s powerpoint presentation (n pdf format) here. How can faith communities break down stigma around dementia? Read the blog by Sian Brookes and Bishop Graham Tomlin here. In October 2016, St Leonard’s Church, Heston is hosting two events to mark Diversity Month. Follow the links above to read more and download the flyers. The original table presented at the Finance Forum in June 2015 had some errors in the formulae, thereby giving the wrong %ages for some parishes. You can access the corrected table here. Jan Trellick has been our Deanery representative on the board of directors for Hounslow Deanery Synod for the last six years. New elections are due by the end of the year, so with Jan stepping downb, we will appoint someone to succeed her at our November meeting. Please read this description of the role of the board and its members and then be in touch with the me if you would like to be considered or to find out more. Many thanks to our speakers for the sessions at our November Synod who were able to provide notes or slides from their input.